Thirsty Pilgrim: I've Been Saving Up for You. Got a gazillion things I want to share, and a couple of them might even be interesting. Sadly, no time. Work to do and a suitcase to pack. Finishing up another piece for DRAFT (tell you later) and getting ready to spend a week in Germany. This trip will include a day in Bamberg, arguably the beer capital of Germany. Arguably. 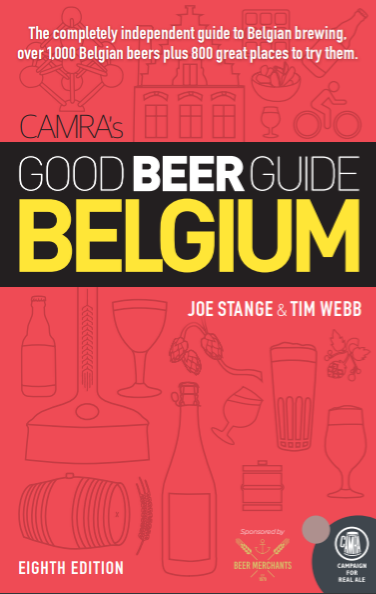 The Belgian Beer Weekend and all its pomp really got my wheels turning. 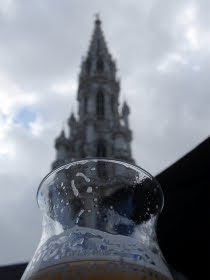 I came away even more cynical about the Belgian beer scene, if that's possible. For now let's just say I really missed Bruxellensis, which took a one-year hiatus. Hope to go into more detail soon, when my life gets back to normal. Or whatever resembles normal when there's a two-month-old in charge (who, incidentally, attended his first beer festival over the weekend. A Japanese TV crew was intensely interested in Mrs. Thirsty Pilgrim drinking a beer while carrying Junior on her chest. Watch for a very special documentary on alcoholic moms and dads on Nippon National Television...). Meanwhile here's an announcement that shouldn't wait: The new Moeder Lambic is running only a few weeks late in its plans to open. Good news, I'd say. That means we're looking at late October/early November. Regardless, according to co-owner Jean Hummler, there will be a party the same day as the next Cantillon Public Brewing Session. That would be November 7. Assuming the bar is really open by then, I reckon the event should be open to the public. So there's a date to scratch into your calendar if you're around. Right. Hungry suitcase, staring at me. Back in a week or so.